Mistral's Sweet Pin T Shirt is a must have this season! Mistral's Sweet Pin T Shirt is a must have this season! 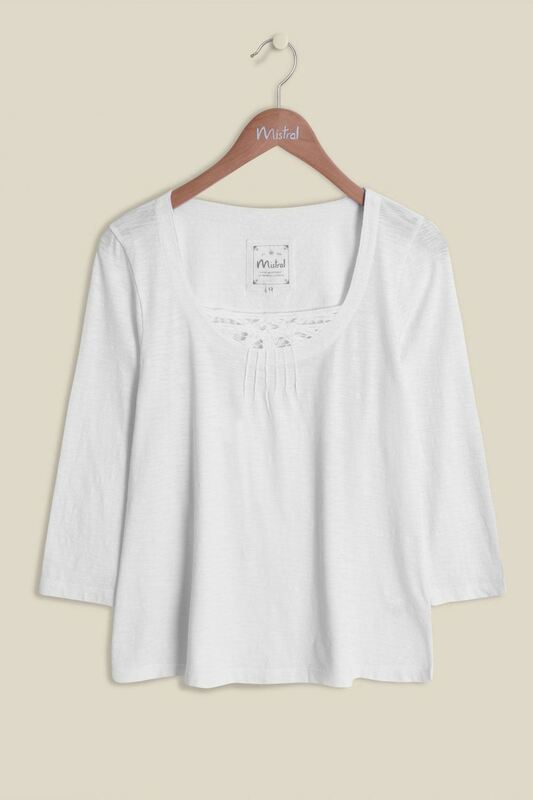 It has 3/4 sleeves, a scoop neckline and a pretty lace trim along the neckline. Layer under a jumper or pair it up with a pretty print skirt for a casual but stylish weekend look.